Darjeeling: There are good tidings for the people of Darjeeling. On the heels of the dialysis units, the Darjeeling District Hospital is all set to get a CT Scan machine. 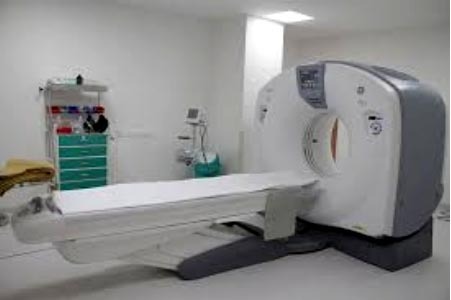 "A few days back we got the news that the government has given its approval for a CT Scan machine for Darjeeling District Hospital," stated Dr Saikat Pradhan, Superintendent, Darjeeling District Hospital. The Darjeeling Hospital recently got a dialysis unit too. It was inaugurated by Chief Minister Mamata Banerjee from Kalimpong on May 30. "The dialysis is free of cost. The patient has to pay only for an injection that costs Rs 374," the Super added. On April 1, 2017, an MRI machine had been installed at the District Hospital in Darjeeling costing around Rs 10.28 crore. Incidentally, before April 1, 2017, there were no MRI or CT Scan facilities in the Hills both in government and private units. In case of emergencies, especially during accidents, patients had to travel to Siliguri. Many did not survive the 76 km long journey through rough terrain. "There is a hitch regarding the MRI machine. It had become non-functional owing to technical problems. It was repaired. Again a few days ago the same problem arose. We have asked the company to send a technical person and station him in Darjeeling at least for a week. The MRI has to be constantly functional. Thousands of lives depend on this in the Hills," added Pradhan. Darjeeling District Hospital is all set to get a CT Scan machine. "A few days back we got the news that the government has given its approval for a CT Scan machine for Darjeeling District Hospital,"